The US Navy is also reportedly deploying a number of Aegis ships in the Persian Gulf capable of knocking down hostile missiles in flight. One military official has told AP the adjustments in the Gulf should be seen as prudent defensive measures designed to deter Iran from taking aggressive action in the region. Iran’s opposition leaders met in Tehran today amid speculations of a showdown between Green movement supporters and the government forces on the 11 February anniversary of the revolution. Mir Hossein Mousavi and Mehdi Karroubi invited their supporters to demonstrate in massive numbers on that day, marking the 31st anniversary of the establishment of the Islamic Republic. The two leaders said Thursday's hanging of two dissidents was an attempt to keep people away from the February 11 demonstration. "It seems that such a move is to scare people so they do not take part in the demonstration of 22nd of Bahman (February 11)," Mousavi and Karrubi said. Senior IRGC and police officers have recently warned that they would not allow the Greens to stage protests on 11 February. "We will by no means allow anything known as the 'green movement' to make an appearance" on the anniversary, IRGC Brig. Gen. Hossein Hamedani said. Secretary of State Hillary Clinton today added pressure on Iran by publicly threatening China into accepting tough UN sanctions against the Islamic Republic. 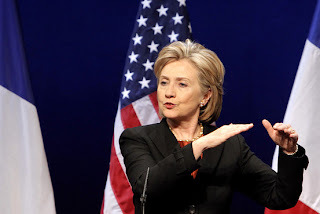 During an address to France's war college, L'Ecole Militaire, Clinton said China risked diplomatic isolation and economic uncertainty if it didn't join the international push to further sanction Iran for its pursuit of nuclear technologies and weapons delivery systems. “As we move away from the engagement track that has not produced the result that some had hoped for, and move forward the pressure and sanctions track, China will be under a lot of pressure to recognize the destabilizing impact that a nuclear-armed Iran would have in the Gulf from which they receive a significant percent of its oil supplies,” Clinton said. [AFP, 29 January]. Clinton added that she understood why China would not want to penalize a country from which it gets so much of the natural resources. But she urged Beijing to think about the longer-term implications of Iran's' nuclear program: triggering an arms race across the Middle East, and possibility of an Israeli military action against Iran. In London, Russian Foreign Minister Sergei Lavrov indicated Moscow was moving towards the US position of backing new sanctions on Iran after Tehran rejected a nuclear-fuel agreement that Russia helped broker last October. In her Paris speech Clinton said that US-Russian relations have steadily improved since Mr. Obama called for a "reset" in the relationship last year. "The United States is proud of what our two countries have accomplished together during this past year," Clinton said. "Together, we have made progress on a range of mutual security concerns." Former British Prime Minister Tony Blair in a testimony today before the Chilcot Inquiry into the Iraq war, said that Iran’s nuclear program is a threat and suggested that military action might be necessary to stop Iran developing its nuclear weapons program. Blair said Tehran's actions have made him even more afraid today that a rogue state could supply weapons of mass destruction to terrorists than he was when he took Britain to war with Iraq in 2003, raising concerns about Tehran's links with terrorist organizations. For a report on Blair’s speech, click to see the Independent article. Two Iranians convicted of being "enemies of God" (Mohareb) for participation in Green protests and membership in a banned monarchist group were hanged at dawn today at Tehran’s notorious Evin prison. It was the first known execution of opposition activists since June's disputed presidential election prompted massive street protests. Mohammad Reza Ali Zamani and Arash-Rahmani Pour were hanged on Thursday morning. The lawyer for Mr. Rahmani-Pour insisted that her client was arrested at least two months before the election and could not possibly be involved in any post-election demonstrations. He was reportedly arrested last March and was aged 19 at the time of his arrest. Nine more have been sentenced to death in mass kangaroo trials held after Ahmadinejad’s election, including some related to 27 December Ashura demonstrations. Hundreds have been detained in the past seven months, with some already receiving long-term sentences for their participation in street protests. 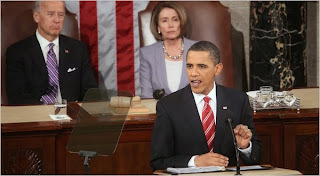 President Obama delivering the State of the Union speech. Following is the text of President Obama’s reference to Iran during his first State of the Union speech on Wednesday. Now, these diplomatic efforts have also strengthened our hand in dealing with those nations that insist on violating international agreements in pursuit of nuclear weapons… That's why the international community is more united, and the Islamic Republic of Iran is more isolated. And as Iran's leaders continue to ignore their obligations, there should be no doubt: They, too, will face growing consequences. That is a promise. 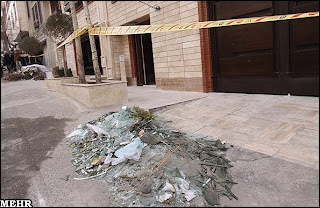 Israeli President Shimon Peres today called Iran a threat to the entire world. In a speech to German parliament marking the 65th anniversary of the liberation of the Auschwitz concentration camp, Peres said Iran’s nuclear program "threatens destruction" and represents "a danger to the entire world". "Never again ignore blood-thirsty dictators, hiding behind demagogical masks, who utter murderous slogans," he added. "The threats to annihilate a people and a nation are voiced in the shadow of weapons of mass-destruction, which are held by irresponsible hands, by irrational thinking and in an untruthful language," Peres said. Peres was a key figure in the establishment of Israel's own nuclear program in the 1960s. Israel is widely believed to be the Middle East's only nuclear power. Iran’s deputy intelligence minister told the state-owned TV network that two German diplomats, using fictitious names of Yogi and Ingo, had been arrested during 27 December Ashura demonstrations in Tehran. The official said Iran would launch protest to the German embassy in Tehran [IRIB, 27 January]. It was not clear if the diplomats were still in detention and why Iran had waited a month to launch a protest. In Berlin today, Andreas Peschke, a German government spokesman, dismissed the report, saying no German diplomats were arrested on 27 December. He also denied any alleged involvement of German diplomats in Iranian opposition protests. Iranian troops and technicians who had arrived at Fauqa Field on 18 December and took control of Well #4 and raised the Iranian flag have cleared the site and withdrawn to the border. 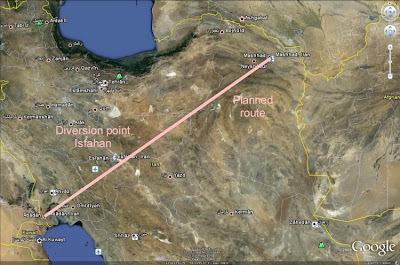 On 20 December, Iranian troops had moved 50 meters back from the well. Iraq and Iran both claim the oil field as their territory. These original news reports are from the later stage of the Iran Iraq War (including associated naval warfare between the US and Iran in the Persian Gulf). Iran's director of Supreme National Security Council and chief nuclear negotiator Saeed Jalili’s visit to Russia was postponed today hours before his scheduled departure from Tehran. He was to meet with the Russian premier and the country’s head of atomic energy agency during his three-day visit to Moscow [ISNA, 26 January]. No new date for the visit was announced. On Monday, a day before Jalili’s departure, head of the Atomic Energy Organization of Iran (AEOI) Ali Akbar Salehi met with Russian ambassador to Tehran Alexander Sadovnikov to discuss nuclear cooperation between the two countries. "The existing issues in relation to nuclear cooperation were discussed at the meeting on the eve of a visit to Moscow by SNSC Secretary Saeed Jalili," AEOI's spokesman Ali Shirzadian said [Fars News Agency, 25 January]. Salon.com today carries a post on Iran’s nuclear program, which originally appeared in Der Spiegel. Claims made in the article cannot be verified, but their appearance at this time in Spiegel is significant, and are referenced here for purpose of discussion and comments by our readers. After an extensive internal investigation, IAEA officials concluded that a computer obtained from Iran years ago contains highly volatile material. The laptop reached the Americans through Germany's foreign intelligence agency, the Bundesnachrichtendienst (BND), and was then passed on to the IAEA in Vienna. Reports by Ali Reza Asgari, Iran's former deputy defense minister who managed to defect to the United States, where he was given a new identity, proved to be just as informative. Nuclear scientist Shahram Amiri, who "disappeared" during a pilgrimage to Mecca in June 2009, is also believed to have particularly valuable information. The Iranian authorities accused Saudi Arabia and the United States of kidnapping the expert, but it is more likely that he defected. Iran's government has come under pressure as a result of the new charges. They center on the question of who exactly is responsible for the country's nuclear program -- and what this says about its true nature. The government has consistently told the IAEA that the only agency involved in uranium enrichment is the National Energy Council, and that its work was exclusively dedicated to the peaceful use of the technology. But if the claims are true that have been made in an intelligence dossier currently under review in diplomatic circles in Washington, Vienna, Tel Aviv and Berlin, portions of which SPIEGEL has obtained, this is a half-truth at best. According to the classified document, there is a secret military branch of Iran's nuclear research program that answers to the Defense Ministry and has clandestine structures. The officials who have read the dossier conclude that the government in Tehran is serious about developing a bomb, and that its plans are well advanced. There are two names that appear again and again in the documents, particularly in connection with the secret weapons program: Kamran Daneshjoo and Mohsen Fakhrizadeh. Please click on the link to read the entire article. The infamous Chemical Ali has been executed by hanging in Iraq for crimes against humanity, he was best known for the notorious poison gas attack on Halabja which was carried out in 1988 before the end of the war with Iran. Fars News Agency reports that Mehdi Karrubi, one of the leaders of the Green opposition movements, seven months after the disputed presidential election in Iran has now recognized Mahmoud Ahmadinejad as the president. “I still believe my criticism of the election is valid. But I also recognize the president,” [Fars News Agency, 25 January]. Karrubi’s son was quoted by news agencies explaining his father’s stance. "I am still of the same belief that the election was unhealthy and massively rigged. But since the leader endorsed Ahmadinejad's victory, I believe that he is the head of the government, meaning he is the president," Hossein Karrubi quoted his father as saying. Iranian President Mahmoud Ahmadinejad said today that the government would announce “good” news regarding the enrichment of uranium to 20% purity during the celebrations of the 31st anniversary of the Islamic Revolution in February. "During the 10 Days of Dawn (February 1 to 11) we will announce good news regarding the production of 20 percent enriched fuel in our country. "This news is so sweet that it will make any Iranian and any freedom loving person in the world happy. This news is about Iran's scientific advancement," Ahmadinejad said [Fars News Agency, 24 January]. 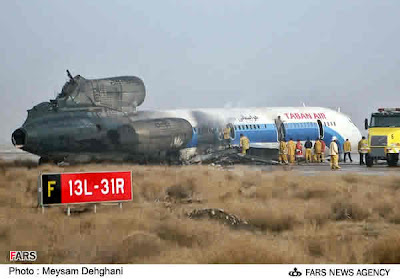 Details of the Tu-154M crash landing in Iran are now available. 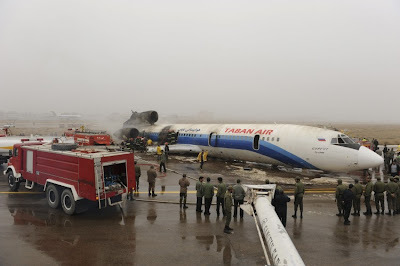 A Kolavia Tupolev Tu-154M, on behalf of Taban Air, registration RA-85787, performing flight HH-6437 from Isfahan to Mashhad with 157 passengers and 13 crew members aboard, was holding near Mashad due to below minimum visibility, when apparently a passenger became seriously ill. The crew declared an emergency and attempted the ILS approach to Mashhad's runway 31R despite low visibility. Upon touchdown at 07:20L (03:50Z) the aircraft veered temporarily off the runway, the landing gear collapsed, one wing impacted the ground and the aircraft burst into flames. Forty-two people received minor injuries and were taken to local hospitals. The aircraft received substantial damage including the separation of both wings (sheared off at the mount points of the main landing gear struts) and the vertical stabilizer. The flight had originated in Abadan on Saturday evening (Jan. 23) and was diverted to Isfahan due to poor visibility in Mashhad, with some media in Iran reporting the aircraft may have diverted to Isfahan due to a technical problem. The aircraft departed Isfahan for Mashhad again at 05:35L. 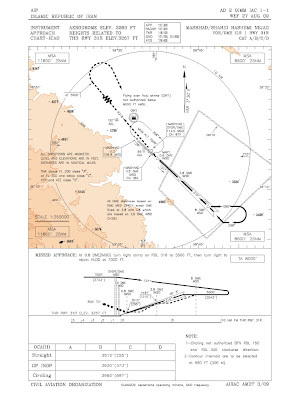 MHD ILS CATI minimum visibility is 800m but according to METAR visibility at the time was only 200m due to fog. The cause of the accident is under investigation, however early indications show pilot error. Iran's Ministry of Health reports that forty-two people were admitted to hospitals. 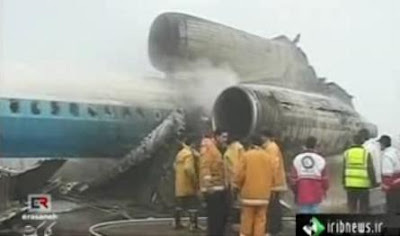 Iranian authorities report no fatalities. Runway 13L/31R remains closed following the accident. The runway is 3811 meters (12500 feet) long and is equipped with a Category I ILS. RA-85787 is a Tu-154M owned and operated by Kolavia for Taban Air. Taban Air has seven Tu-154s, of which six are operated by other carriers, including Tajik Air and Kolavia. Iran's Civil Aviation Authority has suspended the Air Operators Certificate (AOC) of Taban Air effectively grounding the airline. 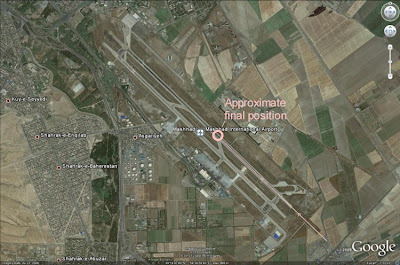 Mashhad International Airport or Shahid Hashemi Nejad Airport (MHD/OIMM) is located in Mashhad, Razavi Khorasan, Iran. 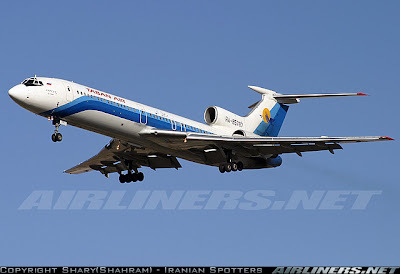 The Tu-154M was performing services for Iranian carrier Taban Air, although the fuselage colour scheme shows the aircraft is from the fleet of Russian carrier Kolavia. It also carries the name "Surgut" in Cyrillic on the nose, identifying the aircraft as RA-85787. Images from the scene show the aircraft resting on its fuselage underside, with both wings and the landing-gear torn away. The aircraft has suffered heavy fire damage at the rear, where the aircraft's three engines are mounted, and the vertical fin and horizontal stabiliser are no longer attached. The ruggedness of the Tu-154 design may be credited for the amazing lack of fatalities in this crash landing. Responding emergency crews are also to be commended. 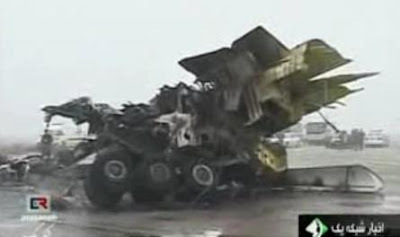 Landing gear on the Tu-154M torn away due to unsurfaced conditions initially encountered upon landing. Details for this post provided by Simon Hradecky at the Aviation Herald and David Kaminski-Morrow at Flightglobal. A day after a passenger train derailed leaving Mashhad, killing seven people, a passenger jet crashed landed in the city, injuring 46 people. The Taban Air plane caught fire upon landing at Mashhad at 7:20 am local time on Sunday. Iran has seen numerous crashes in recent years and its airlines have been plagued by maintenance problems. There has been certain curious terminology from both the Western world and Iran over the eight year war with Iraq back in the 1980's, the two most common terms relating to this war are the Imposed War (usually used by Iranians) and the Iran Iraq War (usually used by Westerners). 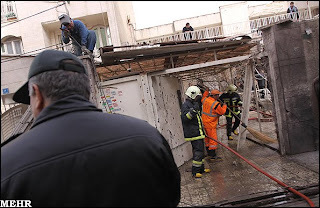 The Imposed War is more of a local name for the war since Iraq started it on September 22nd 1980 when the Iraqi Air Force bombed several targets deep within Iran including Mehrabad Airport in Tehran. 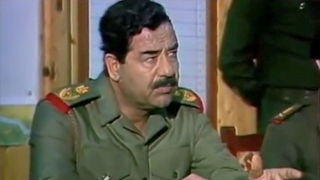 Saddam Hussein had many fears that his place in power would be jeopardized if the Ayatollah Khomeini exported his revolution to the oppressed Shi'ites majority of Iraq, so he launched nine divisions of the Iraqi Army into the oil fields of Southern Iran on September 22nd 1980. He believing Iran was still weak and unorganized following the Islamic Revolution and had openly boasted his army would reach Tehran in three days, however the Iraqi Air Force had failed to wipe out the Iranian Air Force on the ground and the Iranians launched Operation Kaman 99 about a day later striking Baghdad. Iraq's invasion solidified Iran's revolution and tens of thousands of volunteers rushed to the front lines to fight the Iraqis, RPG armed revolutionary guards halted the onslaught of Iraqi Armour and by 1982 after liberating Khorramshahr from the Iraqis an Iranian offensive against Iraq would soon be launched. Not long afterwords Saddam decided to withdraw his army completely from Iran, and deployed them on the international border between Iran and Iraq, believing his army being demoralized after the war would still be able to hold a line of defense on the Iraqi side of the border. 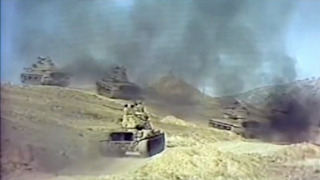 Saddam suggested that Iran should stop the fighting and accept a ceasefire and instead send troops to fight with the Palestinians in Lebanon against the Israelis which had invaded the same year, this offer however through emotional purposes was rejected and Ayatollah Khomeini made plans to remove Saddam from power in Iraq seeing him as a threat. The war which followed from 1982 towards 1988 would see Iran on the offensive, however it was forced to end the war in 1988 to which Ayatollah Khomeini famously compared to drinking a chalice of poison. Saddam had called the war the Whirlwind War, in the US it is commonly referred to as the First Persian Gulf War. However looking at it from a more open viewpoint there were clearly two wars that were fought. This was the war that started on September 22nd 1980 when Iraq preemptively attacked and proceeded to invade Iran. An attack which the United Nations failed to condemn Iraq for. The Iranian counter offensive which saw the Iran pitted against the Iraq in violent trench wars and several human wave attacks against cities such as Basra. Iran was forced to give up this war since it didn't have enough military hardware to keep the war going and to defeat the Iraqis, also a million men had been lost in eight years and Iran was forced to accept a ceasefire. Although from an Iranian viewpoint it has a lot to be bitter for, a million people were killed in the war many of them very young, and along with that was the fact that the United States, France and several other countries armed Iraq before the tide of war turned in 1982, even though the US briefly switched sides in 1985 in the infamous Iran Contra Affair. The fact remains that for the damage caused on Iran by Iraq one would want to get revenge for the horrors inflicted! However a broad and neutral view of the whole thing shows as I said two separate wars. A passenger train derailed in northeastern Iran, killing at least seven people with another four in critical condition. The train was en route from Mashhad to Tehran. The accident happened near the city of Semnan at 1:40 pm local time on Saturday. 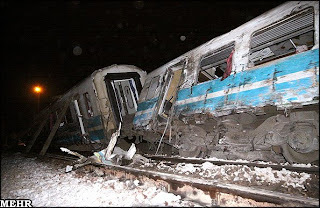 UPDATE (24 January): Iranian officials say excessive speed was the cause of the train derailment. Iranian Armed Forces Chief of Staff Maj. Gen. Hassan Firouzabadi today criticized recent comments made by Iran’s defense minister that Iran would hit US naval fleet in the Persian Gulf if its nuclear installations were attacked. The defense minister had surprised this blogger at the toughness of the statement he had made on Wednesday. Gen. Firouzabadi’s statement today goes a long way to clear any misunderstanding caused by the rookie defense minister. In another part of his interview, Gen. Firouzabadi also criticizes US military leaders for their recent statements on Iran. “Although US military leaders had been on record saying an attack on Iran’s nuclear facilities would be extremely dangerous and would make the region unsafe for the US, but they continue with their unwise declarations regarding Iranian nuclear facilities,” Gen. Firouzabadi said. The statement was apparently a response to US Adm. Mullen’s recent declaration that the US military was capable of hitting Iranian nuclear facilities, even though he would not recommend such action. Iran’s exports of iron ore and concentrates rose by 63% to a record 6.32 million tons in the first nine months of Iranian calendar year 1388 (that started 21 March 2009), the Iranian Ministry of Industries and Mines reported today. Iran today began limiting the amount of money individuals can withdraw daily from their bank accounts. The officials said the move was to combat money laundering. The limit was put at 150 million rials (roughly $15,000) a day. Iran’s Finance Minister Shamsoddin Hosseini told a conference Wednesday that controlling the cash would serve to battle money-laundering and financial terrorism. He did not elaborate what type of money laundering or financial terrorist operations exists in the country that required such action by the government. Some Iran analysts believe the move was an attempt by the government to slow the flow of cash in order to curb inflation. President Ahmadinejad has also announced plans to lop off zeros from the the country's currency, arguing the value of rial was grossly undervalued. The move is also seen as an anti-inflation measure. Iran Defense Minister Brig. Gen. Ahmad Vahidi warned the West that the Islamic Republic’s armed forces would hit the Western naval fleet in the Persian Gulf if its nuclear installations were attacked. Gen. Ahmadi also warned Israel that Tehran would hit Israeli nuclear installations if Israel starts an attack against the Iranian nuclear facilities [Fars News Agency, 20 January]. 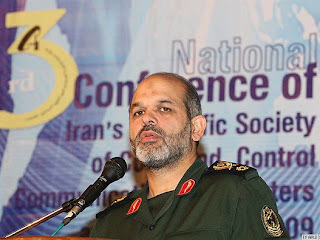 Gen. Vahidi’s warnings, during an address delivered at19th International Conference on the Persian Gulf in Tehran on Tuesday, contained the most direct and toughest language used by a senior Iranian military official on Iranian retaliatory responses if attacked. In closet to a formal response delivered by Tehran to IAEA after months of speculations, Iran has rejected the terms of a nuclear deal to ship most of its low enriched uranium abroad in return for higher-grade fuel needed for its nuclear research reactor. The structure of the deal was to ease concerns about Iran’s nuclear program. Tehran instead has suggested an alternative involving a simultaneous exchange on its territory, a plan very unlikely to be acceptable to the West. It was not clear whether Iran’s response to IAEA delivered today was in writing or only verbally. IAEA and Iranian officials in Vienna have not yet commented on Iran’s response. Iranian foreign minister Manouchehr Mottaki said on Monday that he has not accepted the resignation of Mohammad Reza Heydari, Iran’s consul in Norway. Heydari resigned on 7 January in protest at Tehran’s violent suppression of opposition demonstrations during Ashura (27 December). Mottaki demanded Heydari’s return to Tehran. The Iranian embassy in Oslo and the Iranian foreign ministry in Tehran had until now denied that one of their diplomats had resigned in protest. Heydari said on Monday in Oslo that he would not return to Iran for fear of repercussions. "Returning to Tehran would be putting my life and my family's at risk," he said. The diplomat, a married father of two whose family lives with him in Norway, has been stationed in Oslo for just over two years. "I have worked with Mr. Mottaki and have respect for him. But my message to him is clear: he has to look around him and become aware of what is happening. He has to resign and fight alongside his people, not against his people," Heydari added. IRGC Brig. Gen. Mostafa Mohammad Njjar, Iran’s Interior Minister, said on Monady that Iran would take revenge on Israel for assassination of the country’s physicist Masoud Alimohammadi [Fars News Agency, 18 Januray]. Najjar did not discuss the evidence of Israeli involvement in the assassination. Alimohammadi was killed last Tuesday when a bomb strapped to a parked motorcycle was triggered by remote control outside his home in Tehran. Kabul – The city is under control this evening after a series of brazen and coordinated bomb and gun attacks by the Taliban that shook the heart of Kabul, leaving at least nine people dead, including four Taliban militants, and 40 wounded. These were broadest attacks staged by the Taliban against the government since 2001. UPDATE: Afghan interior minister reports seven militants were among the dead after Monday's attack on Kabul. Five other people, including a child, were also killed. 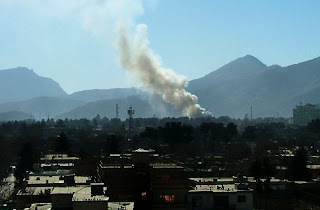 Mohammad Hanif Atmar said there were a total of 71 people injured, including 35 civilians. Monday's attack on Kabul was the largest by the Taliban since they were overthrown in 2001. 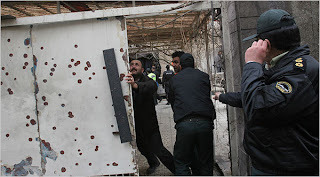 Kabul – Gun battles are raging in downtown Kabul after the Taliban launched a brazen attack at 9:30 am on Monday on government buildings at the heart of the most heavily guarded part of Kabul. The coordinated attacks started when a suicide bomber blew himself up near the presidential palace. 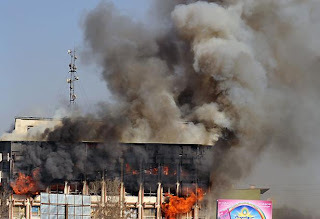 Other Taliban bombers and militants rushed into and occupied a nearby multi-story shopping mall, Foroshgah Bozerg-e Afghan, and started targeting the government ministries from their positions inside the building. The building is now on fire. Another suicide bomber blew himself up outside another shopping center about half a mile away, reportedly killing and wounding number of security officers. Afghan security forces have cordoned off the city center and are taking on the militants in gun battles. The streets in city center are deserted. There are reports of three dead and 28 wounded, including civilian bystanders. Today’s attack is the broadest assault on Afghan government since the fall of Taliban. Assaulting so many targets at once is unprecedented. Ending state subsidies for gasoline, water and power and letting market forces determine their prices are the hallmarks of an economic reform act recently pushed through Majlis by President Ahmadinejad. The act is a sharp turn to the right for a president that ran for the office in 2005 on a populist economic platform heavy on state subsidies. During his first term, Ahmadinejad’s economic team included Parviz Davoodi, appointed as first vice president, and Mohammad Jahromi, the minister of labor, both known for their leftist/populist tendencies. Midway through his first term, Danesh Jafari was dumped as the minister of economy and was replaced by Hossein Samsami, another member of the Davoodi team. The governor of central bank, Tahmasb Mazaheri, known for his moderate tendencies, was also pushed out. The left had taken over all economic portfolios. The buzzwords were bringing oil revenues to people’s dinner tables, distribution of wealth, fighting corruption, marriage loans, housing care and shares for social justice, all promoted by Ahmadinejad during his provincial tours to the four corners of the country. But then came the global economic slowdown, the falling oil prices and an out-of-control inflation rate. In his second term, Ahmadinejad dumped Davoodi and chose Shamsodin Hosseini as minister of economy, and Mohammad Reza Farzin as his deputy at the ministry, both known for their moderate tendencies. 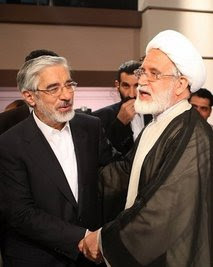 Esfandiar Rahim Mashaie, also known as a moderate, was named the first vice president, but had to vacate that post under pressure from Majlis only to be named Ahmadinejad’s senior advisor and director of the presidential office. Ending the state subsidies for gasoline, water and power is the first major act of the new team and indicates a sharp turn to the right by a president who came to power and prominence on a populist platform. Note: this blogger has used the facts appearing in Reza Niknejad’s article in Iran Emrooz (17 January 2010), but takes responsibility for analysis and conclusion offered here. The governing body of the Islamic Solidarity Games meeting in Riyadh on Saturday withdrew its earlier decision to award Iran to be the host of the Second Islamic Solidarity Games. Tehran, Mashhad and Isfahan were the planned venues for the competitions. 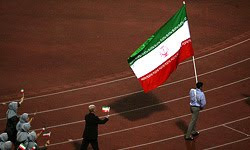 The cancellation of Iran’s sponsorship was a response to Iran’s insistence on using the Persian Gulf name on the medals and programs associated with the games. The six major powers met in New York on Saturday to discuss further UN sanctions against Iran over its nuclear program. The talks were inconclusive as the group made no decisions, with China opposing new sanctions for now. The group’s diplomats agreed to consult again by telephone before the end of the month on the next step. The Group 5+1 (the five permanent members of UN Security Council plus Germany) have been pursuing a “dual track” policy in reaching a negotiated settlement with Iran, but imposing further sanctions if the efforts failed. China also snubbed the gathering by dispatching a low ranking representative to a meeting attended by senior diplomats. Russia favored sanctions apparently after its efforts to end the standoff by swapping and reprocessing Iranian uranium was rebuffed by Iran. "The failure of the 5+1 meeting is natural," Mehmanparast said. "Some nations like China do not believe that the negative approaches, sanctions, threats and politically driven methods can bear any fruit." The volume of foreign investments in Iran has hit a new low. Iran’s news agency ILNA today has published statistics released by Iran’s Foreign Investment Authority showing a dramatic 93% decline in foreign investments in Iran during the current Iranian calendar year [ILNA, 16 January]. The volume of annual foreign investments stood at astonishingly low figure of $822 million. Iranian economists quoted by ILNA blame the overall global economic slowdown and economic sanctions against Iran as the culprits. The Guardians Council has approved President Ahmadinejad's "Economic Reform Plan" intended to phase out billions of dollars in state subsidies that currently keeps the costs of food and energy low. Under the plan, prices of subsidized goods would be allowed to reach “normal market prices” over the next three to four years. The government has not announced the start date for the reforms. The Majlis had approved the bill last week after a long and heated debate over its effects during a period of high inflation. The funding for government subsidies eats up 30 percent of the country’s annual budget. Iran’s semi-official news agency Fars reported today that pro-monarhist Takavaran Tondar group was responsible for the assassination of Dr. Masoud Alimohammadi. The group immediately disavowed the claim and accused Iranian intelligence agents of hacking its website and “plotting a hoax” with “publishing” a claim of responsibility for the terrorist attack. Senior Iranian officials have also accused US and Israel for the attack. The Iranian offical and semi-oficial media were silent today on the assertions by physics experts inside Iran and abroad that Dr. Alimohammadi was a theoritical physicist and was not a nuclear scientist, as earlier claimed by Iran. The designation of nuclear scientist would have made it easier for the Iranian officials to continue claiming foreign consiparicy behind the assassianation. 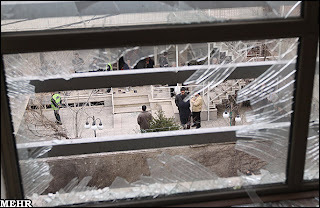 The assassination of the Iranian physics professor outside his home in northern Tehran today and the government’s handling of the bomb attack are creating more questions than answers. 1. Dr. Masoud Alimohammadi was a professor of elementary particle physics at the University of Tehran (specializing in particle and theoretical physics). There are no indications that he was a nuclear scientist, as announced by the government. 2. AP is reporting that a spokesman for Iran’s Atomic Energy Organization (IAEO), Ali Shirzadian, has said that Dr. Alimohammadi had no links to the agency. IAEO is the agency responsible for Iran’s nuclear program (at least the civilian side of it). 3. 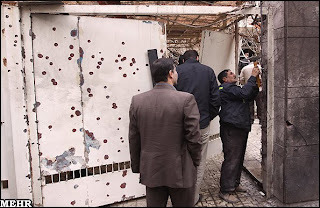 The photos taken after the bombing indicate potmarks concentrated on the gate of Alimohammadi’s house. Some people posting comments on this blog have questioned that the device was an IED, tending to identify it as a military anti-personnel mine with directional blast. Others point out that the damage done in that large of an area is too much to be from anti-personnel device; with the damage showing the precise location where the bomb was placed. 4. The over-hasty cleaning operation of the crime scene, even as police investigators and plainclothes security personnel were still at the scene, raises questions on government’s ability or willingness to identify the real killers. 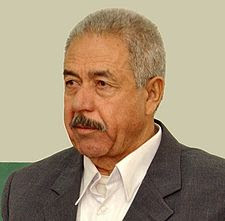 Dr. Masoud Alimohammadi was an early supporter of the Green opposition leader Mir Hossein Moussavi. He was among the 400 concerned scientists that had signed an open letter in support of Mousavi.